Primary children, typically, can be characterised by their questioning minds, their ability to abstract and imagine, their moral and social orientation and their unlimited energy for research and exploration. They move from the concrete through their own efforts and discovery to the abstract - thus greatly expanding their field of knowledge. 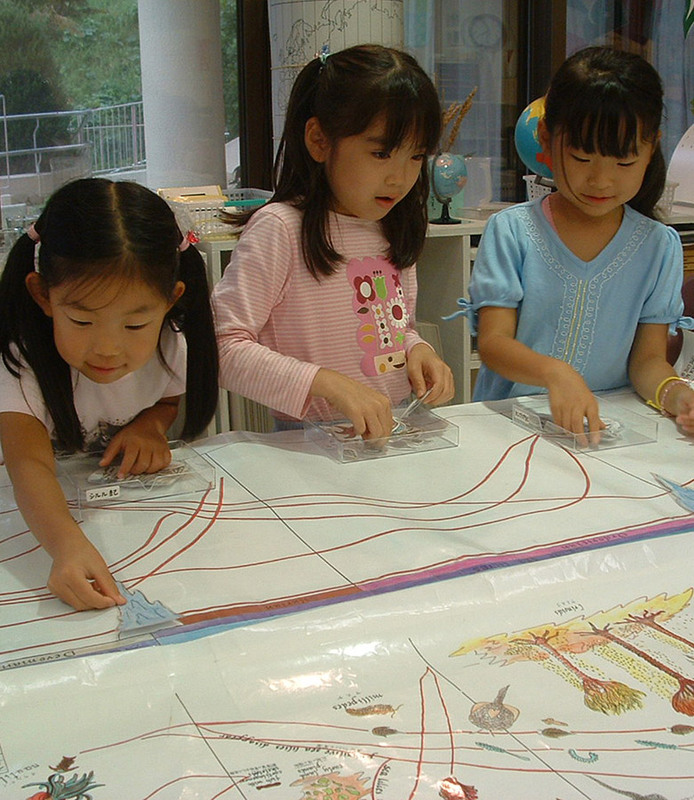 In a research style of learning, elementary children work in small groups on a variety of projects which spark the imagination and engage the intellect. Lessons given by a trained Montessori teacher direct the children toward activities which help them to develop reasoning abilities and learn the arts of life. Children, at this age, are driven to understand the universe and their place in it and their capacity to assimilate all aspects of culture is boundless. Elementary studies include geography, biology, history, language, mathematics in all its branches, science, music and art. Exploration of each area is encouraged through trips outside the classroom to community resources, such as library, planetarium, botanical garden, science centre, factory, hospital, etc. This inclusive approach to education fosters a feeling of connectedness to all humanity, and encourages their natural desire to make contributions to the world.